Downtown&apos;s Le Meridien Tampa hotel has racked up another win. The new hotel is listed as one of the top places to stay in 2015 by Conde Nast Traveler magazine. "An old courthouse converted to hotel in the center of town. The update couldn&apos;t have landed in better hands than the folks at Le Meridien," the magazine says on its gallery of hotels. Le Meridien Tampa ranks #17 of on cntravel.com&apos;s 100 hotels from around the world. It&apos;s the only mainland U.S. hotel (there&apos;s one from Puerto Rico) among the seven honored in the ranking&apos;s "Design Drama" category. Conde Nast&apos;s ranking is the second big win for Le Meridien in 2014. In December, the hotel was named one of 2014&apos;s Historic Hotels of America by the National Trust for Historic Preservation. 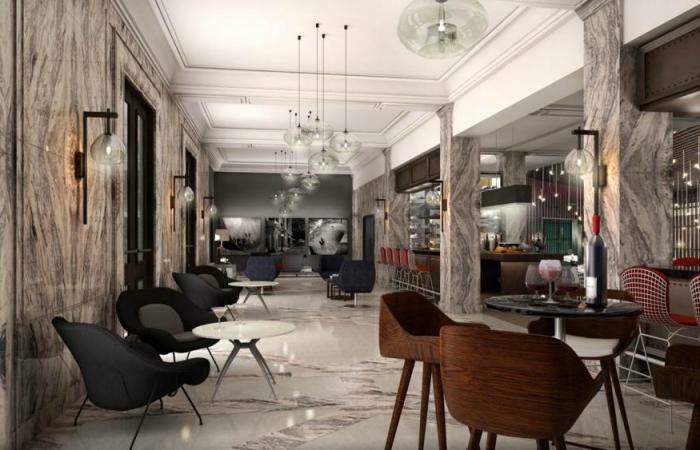 Le Meridien Tampa, part of Starwood Hotels & Resorts, opened last summer in downtown following an extensive renovation of the city&apos;s then-abandoned 1905 Beaux Art-style federal courthouse. The renovation converted the courthouse into a 130-room boutique hotel. The redesign kept many of the building&apos;s original elements, including the marble floors, coffered wood ceilings from the main courtroom and frosted glass doors. The former witness box has been turned into the maitre d&apos; stand for the Bizou Brasserie, the hotel&apos;s in-house French-themed restaurant. Conde Nast Traveler include another Tampa Bay-area hotel on its list of places to stay in 2015: Hotel Zamora in St. Pete Beach was listed among the "Small City Sleepers."